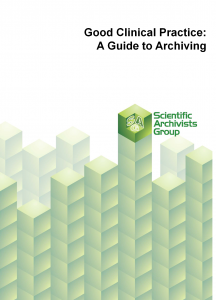 The 2nd edition of the Guide to GCP Archiving is now available. One of the fundamental requirements of the principles of Good Clinical Practice (GCP) is the need to ensure the integrity and secure retention of clinical trial documents for a period of time determined by legal, regulatory and business requirements. Essential Documents serve to demonstrate the compliance of the investigator, sponsor, and monitor with the standards of GCP and with all applicable regulatory requirements. The first edition of this guidance was published in 2007. The second edition was published in 2014 to reflect changes in regulations since then, and to address feedback received on the first edition. The guidance and advice contained within this document are consistent with the requirements of EU Commission Clinical Trial Directive 2001/20/EC and supporting Directives, UK SI 1928:2006, US 21CFR 312 and ICH GCP Guidelines. This publication can be downloaded for free in PDF format for you to print yourself. Alternatively you can purchase a printed copy from our online publisher for £10.